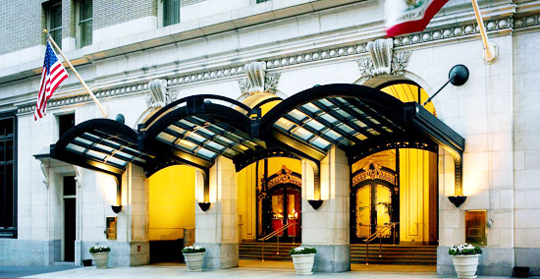 Situated in the Palace Hotel in central San Francisco, The Garden Court is a lesson in turn-of-the-century grandeur. 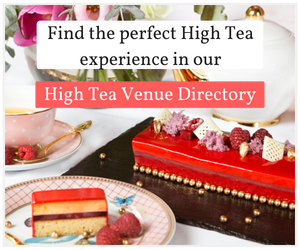 A magnificent glass atrium, grand piano and luxurious proportions set the scene for this traditional high tea venue. On a foggy afternoon, we left the bustle of Market Street for the soothing sound of Moon River and sight of grandparents celebrating a grandchild’s birthday with cupcake and candle. 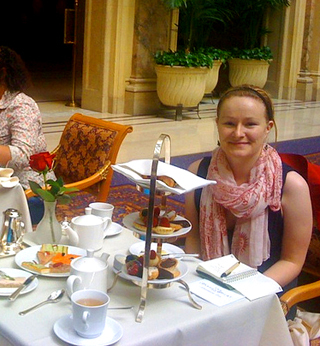 We enjoyed The Garden Court Tea, which is $40 per person. For dessert, the fruit tart with custard was memorable as well as the chocolate covered strawberries and dipped shortbread. Not to forget the coffee eclairs, hazelnut tart and raspberry and lemon curd tart. 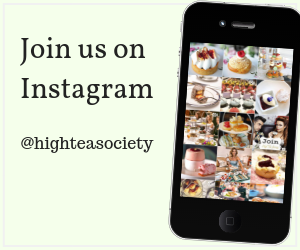 Each tea is accompanied by a good selection of black, green and herbal teas. We tried the Oriental Spice (orange peel, vanilla, ginger and cinnamon) (black), the Red Vanilla Rooibos (caffeine free) (Herbal). The Garden Court Roses (a blend of Chinese green tea and Guatemalan red rose petals) is also recommended. For children 12 years and under there’s the Prince and Princess Tea. Other menu options include the Sparkling Wine Tea, The Royal Tea and Tea for Two – the main differences being the addition of a glass of sparkling or champagne. 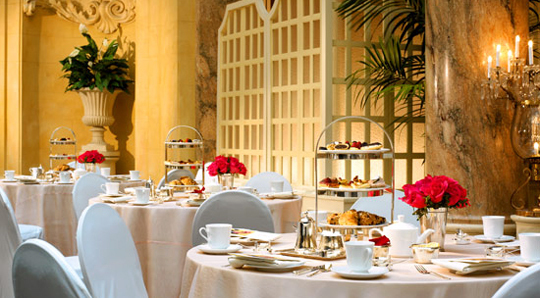 Couples on a romantic sojourn may like the Perrier Jouët Brut in the Tea for Two service. 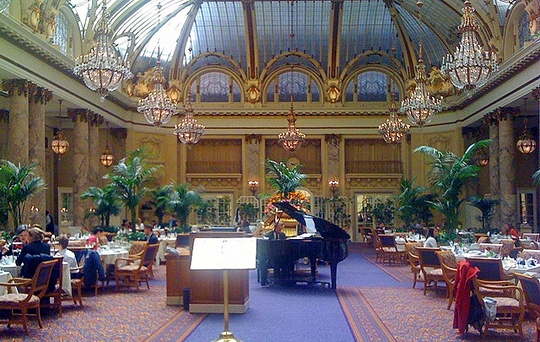 For those looking for a classic high tea sitting in a diverse city like San Francisco – The Garden Court at the Palace Hotel is the place. 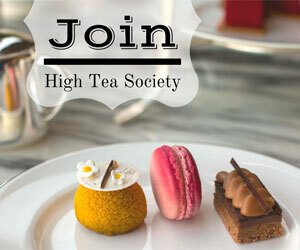 The Garden Court Tea, Prince & Princess Tea $40 USD, $32 USD (for children under 12 years of age), Sparkling Wine Tea $48 USD, The Royal Tea $54 USD and the Tea for Two $98 USD.